What’s going on in Shunyi this week? Read more to find out! 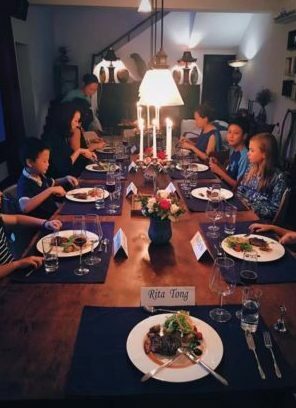 This Friday, Beijing International Bilingual Academy (BIBA) will host a potluck where families can bring their home made food to meet and experience film screening by students. The event is organized by BIBA IB Film Studies Program. The Empathic Cinema is a student led film festival that promotes the voices of young people to express their views of the world around them. The students collaborate together dividing the tasks of outreach, promotion/marketing, curating, programming, and event planning. The films you will see at the picnic are all made by young people ages 12-21. Through their outreach using social media, these BIBA students have curated films from as nearby as BIBA and BCIS and as far away as New York. The films include a range of genres from documentary, drama to experimental with a focus on social/ environmental issues. The potluck picnic will take place adjacent to the gym near the Confucian Temple. All ages. 5pm-8pm. Beijing International Bilingual Academy (BIBA) No.5, Yu Min Street, Houshayu. Mercy Center organised this workshop to help equip parents with teenager parenting must-knows. Topics include “How can we confidently guide our children through adolescence and help them become mature and responsible? How can we keep a positive and healthy relationship with our children during their teenage time? In what ways can we help our children to build up good values and develop strong characters through their teenage years? ” Trainer Abby Langmead was a former social worker from the UK, worked in British government agencies as an inspector responsible for nursury management and school supervision. In China, she had served at a British charity “Care for Children” as a trainer and in recent years teaches in two international schools in shunyi. BBCC recently has launched their etiquette training course for both children and adults. Training contents include table manners and a whole series of subjects e.g. deportment. Prices vary depending on the number of participants and specific subjects (e.g. RMB498 for adult or RMB 758 for one adult and one child). This Saturday’s training is focused on dining etiquette and will be conducted in Chinese (often they do courses in English). Experienced trainer with international qualification of etiquette training. La Plantation is a unique well-designed thematic multifunction artistic space sitting at an old-abandoned industrial factory. It has hosted numerous concerts of various styles. This Saturday, it will host a classical guitar concert by Anthony Garcia who is considered to be “one of Australia’s greatest improvisers” by the ABC Classic FM. The presentation will be in English and French. TACN (Towards a Compassionate Nation) and ICVS (International Center for Veterinary Services) are sponsoring this great meet up between local shelters, groups and organizations involved in animal welfare, rescue and rehoming. Potential forever-families are of course warmly expected. This will be an event for firsthand information about pet adoption, meeting like-minded people, lovely dogs and cats, and gaining insight into pet welfare and dog behavioral knowledge. Lots of interesting and practical topics. The annual HIS Fall Fair will take place again this Saturday. Definitely a keenly expected event by kids who ever attended it. Home-made gourmet food, DIY booths and fun activities. 9.30am-2pm. Crab Island, Exhibition Hall 4, No.1 XieDao Road. All ages. Thousands of gently used books will be on sale with prices starting as low as 1 RMB. Selection includes English and Chinese books. Fiction, Non-Fiction, Children books for all ages. All proceeds will help a child in need.